Back in a gym, back in a jersey. No autographs. No posterboard of his own smiling face. This, Grayson Allen said Friday, is more like it. The first-round draft pick of the Utah Jazz looked a little relieved to be getting to work as the team began its practices for Utah Summer League, which opens on Monday. Allen will be one of the most-watched (and possibly scrutinized) players as the new guy in town, a four-year player at Duke who will want to show off his shooting ability. But still, it’s only Allen’s first day in the gym: As much as he wants to show his basketball chops next week in Vivint Smart Home Arena, he also needs some time for even more basic things — like learning his teammates’ names. Allen’s also getting accustomed to the Jazz playbook, which will run him in different actions and sets than at Duke. In college, he was often a ball-dominant player, but that’s less likely in the NBA — an adjustment Allen said he’s looking forward to, but may still take some time to learn. 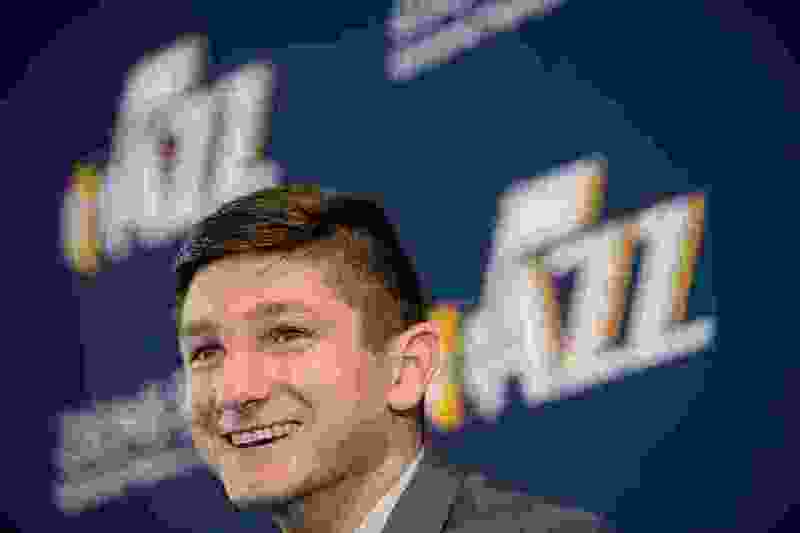 Assistant Mike Wells, who is coaching the Jazz Summer League Team next week, said Allen has the right tools, including maturity, to handle everything being thrown at him. For some, the learning curve is much shorter: Tony Bradley, Georges Niang, Erik McCree and Naz Mitrou-Long all have Jazz experience from last season. Wells said the coaching staff is seeking improvement from that group, which could be competing for roster spots this fall.